These machines were changed recently, but maybe they could use a new adjustment. Vending Machines in Fortnite: Battle Royale have gone through great changes so far, but there’s one fan who thinks they should be changed again. A Reddit user proposed that Vending Machines enter on cooldown after being used instead of disappearing like they do in the current patch. The idea is for it to “power down in a similar manner to Reboot Vans,” according to the author. r/FortNiteBR – My idea on how to tweak the Vending Machines, keeping it with the aesthetics with vending machines. No more disappearing vending machines! Players would still get an item for free when using Vending Machines, but they would have to wait for a few minutes for it to be “restocked with different and randomized choices.” The machine would show a “sold out” message after being used and a timer with how long it will take for it to be restocked. The rarity of the items it offered would also randomly change from Rare to Legendary after the Vending Machine is on again. Most users seemed to approve of this idea, but they’ve found a few flaws in the concept considering the context of Fortnite matches. “I like it, but then people would end up just camping these in scrims, never having to loot,” one user wrote. Another came up with the idea of bringing back the material cost of Vending Machines in a different way, this time to restock them with three different items. “Then it’s a bit of a gamble and not something teams could abuse,” they wrote. 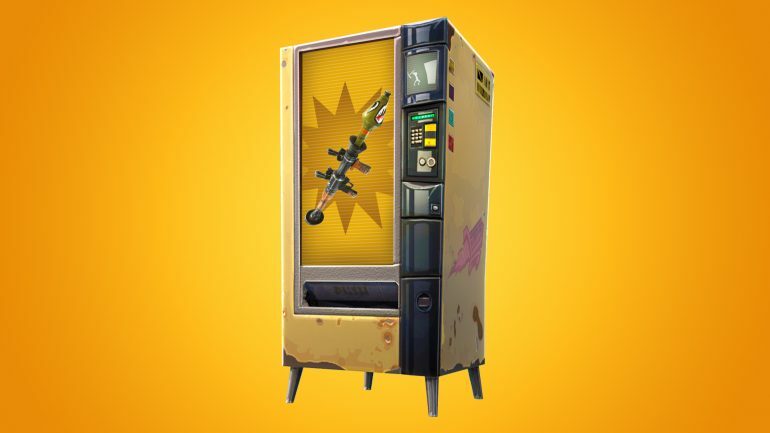 It’s highly unlikely that Epic will tweak Vending Machines anytime soon, though. The company removed the cost for using them in v8.10 but made each of them a single-use environmental item.